Priced for both target shooting and hunting, these .22LR cartridges from Sellier & Bellot deliver deadly expansion against everything from rats and squirrels to groundhogs and raccoons. 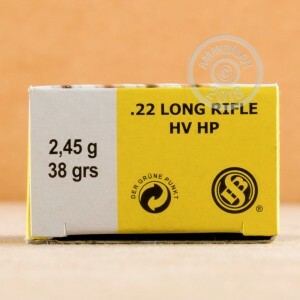 This high velocity ammunition comes in boxes of 50 and fires a 38 grain hollow point bullet at 1,230 feet per second. 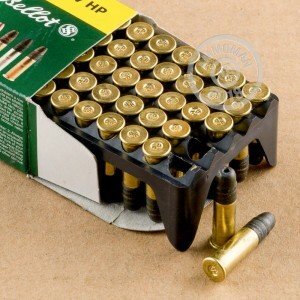 Sellier & Bellot ammo is made in the Czech Republic and delivers great shooting at a reasonable price! Stock up on rimfire, centerfire, and shotgun ammo at AmmoMan.com and get free shipping on all orders over $99!